Pack your bags for a natural getaway into Vietnam’s floating markets, turquoise coastlines, and gargantuan cave. 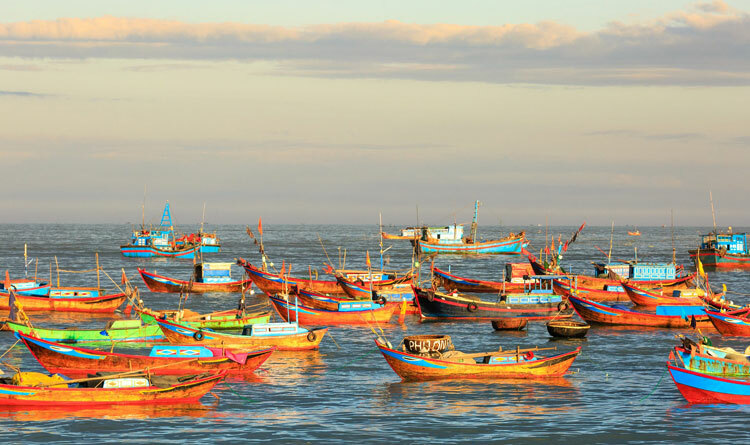 Beyond the bustling cities of Hanoi and Ho Chi Minh, Vietnam weaves a tapestry of incredible landscapes amid stunning waters. Let the country’s beauty refresh your soul as we unveil each attraction before your eyes. In the coastal province of Quang Ninh, east of Hanoi, Ha Long Bay’s towering limestone islands and islets rest in the bay’s serene waters. These incredible rock formations, more than a thousand in aggregate, have emerged through centuries. 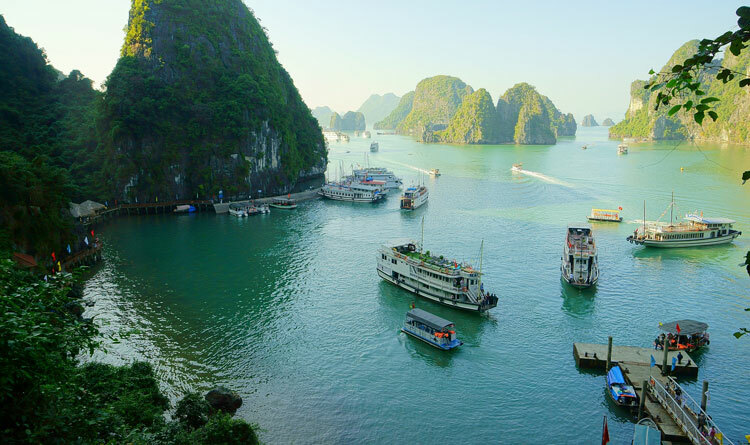 Unwind amid Ha Long Bay’s quiet scenery through a cruise on a junk boat. In a day or two of breezy excursion, you will uncover hidden gems such as the Ba Hang Floating Village and Trinh Nu Cave. Take the time and listen to tales from your local guides while you pass through scenic paths. 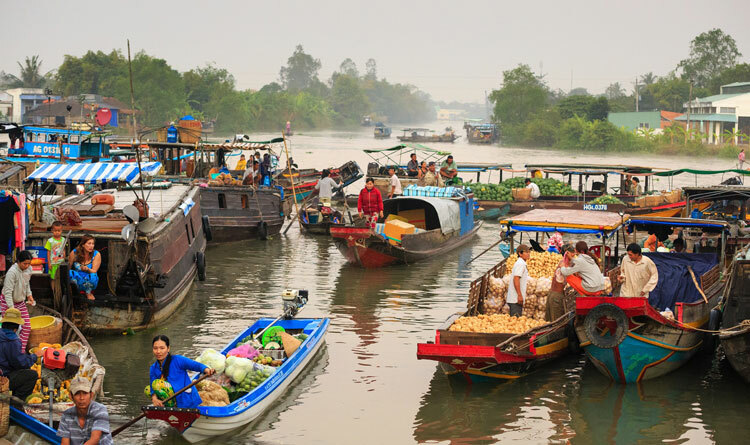 An abundance of fruits, vegetables, and various kinds of river fish thrive in Mekong Delta, the most fertile area in all Vietnam. The vast ecosystem comprises of rivers, swamps, and islands that stretch for over 40,000 kilometers. Home to enchanting floating markets and captivating water villages, the river seems to have an endless exhibit of fresh green rice fields and fruit gardens. Hop onto a boat and sail down the river where you will witness rich plantations, rice paddies, and fish farms prosper. 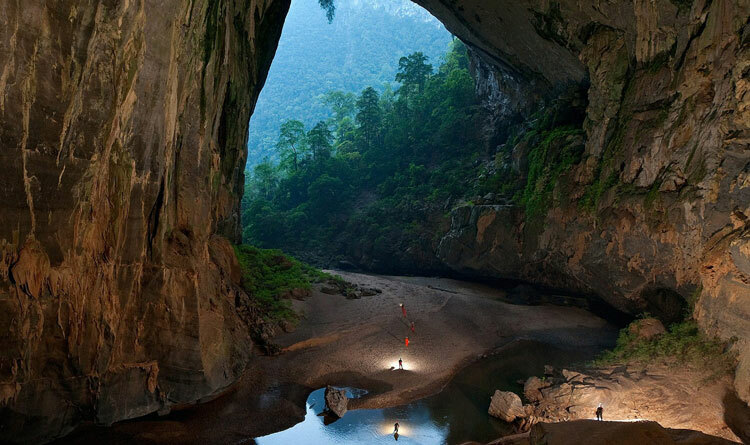 The Son Doong Cave arguably has the world’s most extraordinary subterranean landscape. It’s tucked in the heart of the UNESCO-listed Phong Nha-Ke Bang National Park in the Quang Binh province. This grandiose cave gained its title as the world’s largest cave with its tallest point as high as a 40-story skyscraper and width spreading to 9,000 meters wide. The inhabitants of the cave include the blind white fish and freshwater prawns–species that have acclimated to living in an environment without light. Traverse through the jungles and rivers enveloped by misty clouds and explore the sublime dimensions of this spectacular cave. 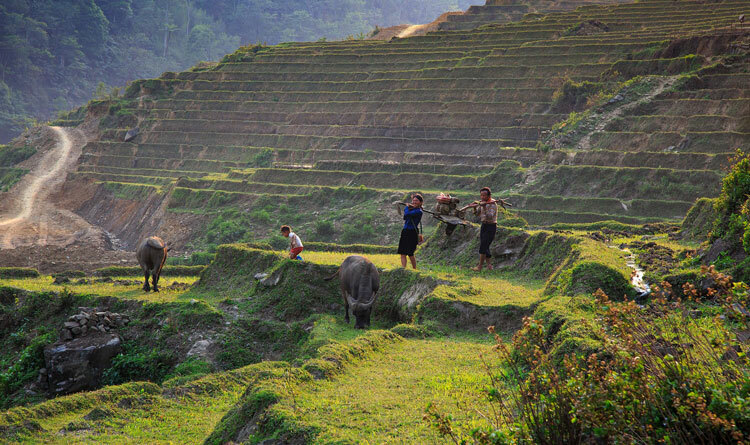 Escape into the surreal imagery of Sapa Hills. Fusing the signatures of French architecture and the hill tribe culture, Sapa is the hometown to different ethnic tribal groups. Known for its popular trekking base, it is also the home to majestic mountain landscapes. Set off on a mountain hike tour and wander through the tranquil villages and rice paddies. Catch the stunning view of the natural waterfalls and climb to the summit of Mount Fansipan, the highest peak of Indochina. Down in Vietnam’s South Central Coast, Nha Trang defines endless fun under the sun. Some call it the ‘Riviera of the South China Sea’ for its striking semblance to the French region. The city’s lustrous turquoise coastline and gorgeous islands have surely captured the attention of beach lovers around the world. With a plenitude of high-rise hotels, family resorts, high-end bars, and local restaurants now in place, different types of vacationers have more options to enjoy a getaway. Those itching for excitement should enter Vinpearl Amusement Park. The full-scale resort has wave pools and giant water slides among its line of attractions. Alternatively, aquatic sports activities on the shore and underwater always have ready options.